With Pro SE fittings of Gavita with 230V AC 400 bulbs can be operated, because they are changing the voltage. 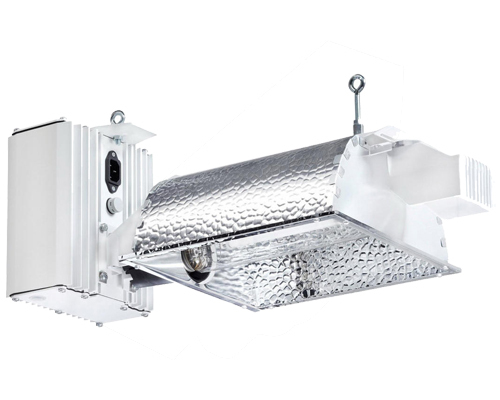 This allows operation of high-end bulbs such as the Philips Greenpower 600W 400V EL which has been developed especially for electronic ballasts. The Gavita Pro 600 SE has an HortiStar HR 96 reflector made of miro aluminium. This has a reflectivity of about 96%. With integrated LED status light. Attention: only use 600W 400V bulbs for operation!